Wood is a timeless and extremely versatile material, one which we learned to use in so many inspiring and creative ways, especially when it comes to furniture. A wood coffee table, for example, is often the piece that ties the room together and makes a space truly feel like a warm and cozy home. 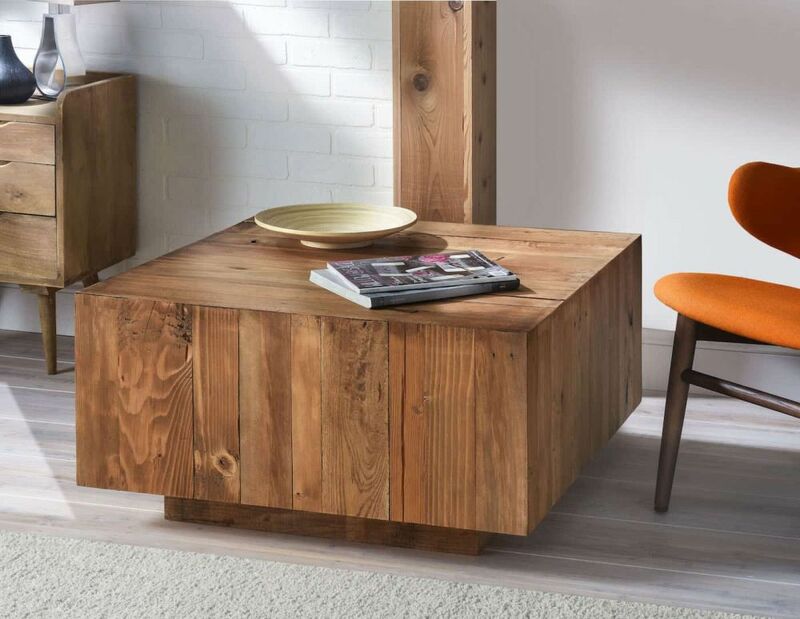 Some styles do it better than others and a wood coffee table doesn’t need to have an intricate or unusual design in order to be a beautiful centerpiece. The following examples will prove it. The beauty of a simple-looking coffee table is that you can probably build it yourself, especially if you choose a forgiving style which embraces imperfections and focuses on natural finishes. 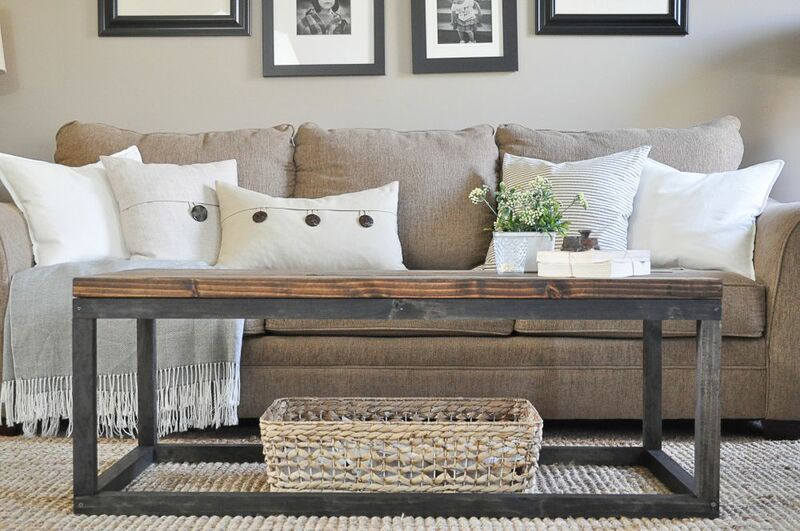 This farmhouse herringbone coffee table from thejunqdrawer is a perfect example. 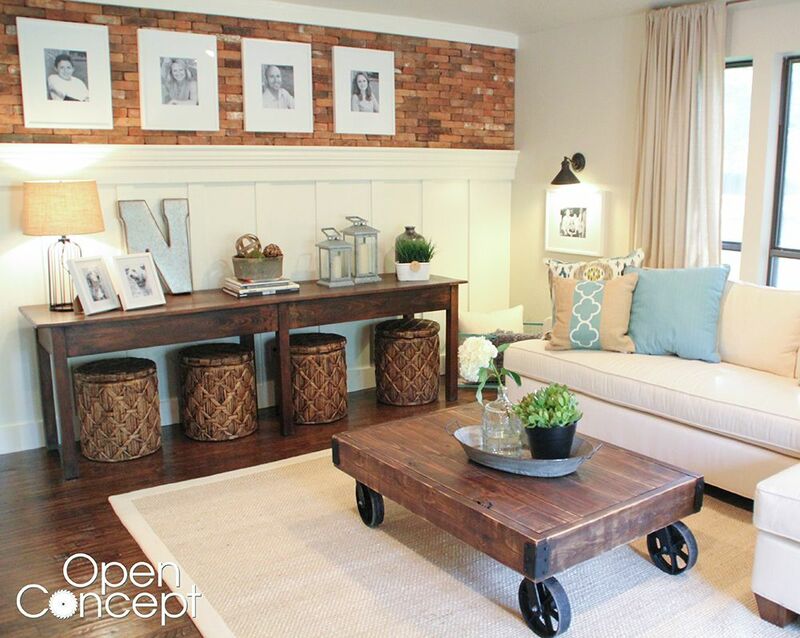 This factory cart coffee table is another great example which shows just how easily you can update the look of your living room with a single piece of furniture with a simple design. As you probably suspected, you can build this sort of wood coffee table yourself from scratch and it would be a fairly easy project. You can find all the details on shanty-2-chic. The hardest part of building a coffee table from scratch, whatever it’s made of, is coming up with the design. That’s why it’s a lot easier if you try to copy or recreate the design of an existing table, perhaps one that’s simply unreasonably expensive and has a simple-enough look. We know this is possible and that the results can be great. Check out morelikehome to see for yourself. 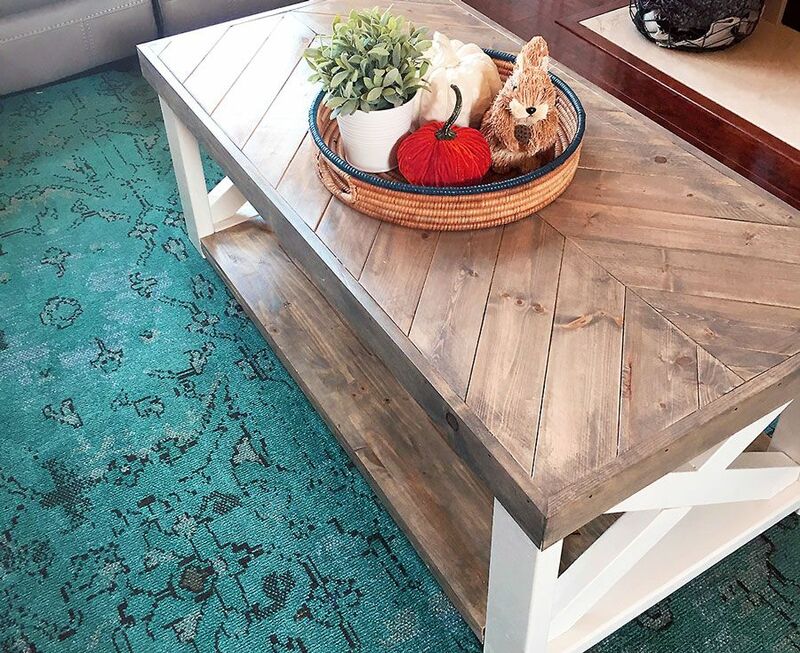 If you’ve already decided that you’re going to build your own wood coffee table, you could take this opportunity to use reclaimed wood boards in your project. This way your new coffee table will have a history and a story to tell. You can find a detailed tutorial showing you how such a table could look like and how to put it all together on instructables. 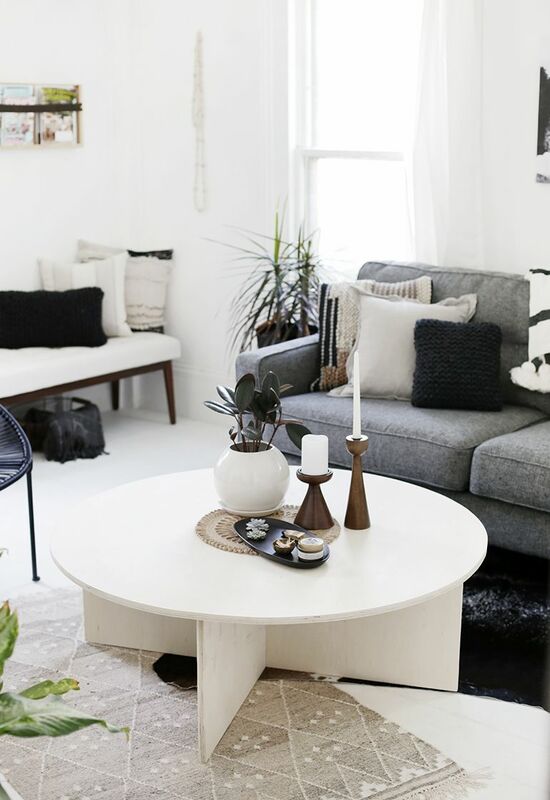 If you want your wood coffee table to look chic and modern, there’s an easy way to make that happen. All you have to do is give it hairpin legs. Another option could be to integrate a geometric pattern in its design. It’s easier than you think. One project which describes this very set of characteristics can be found on diyhuntress. 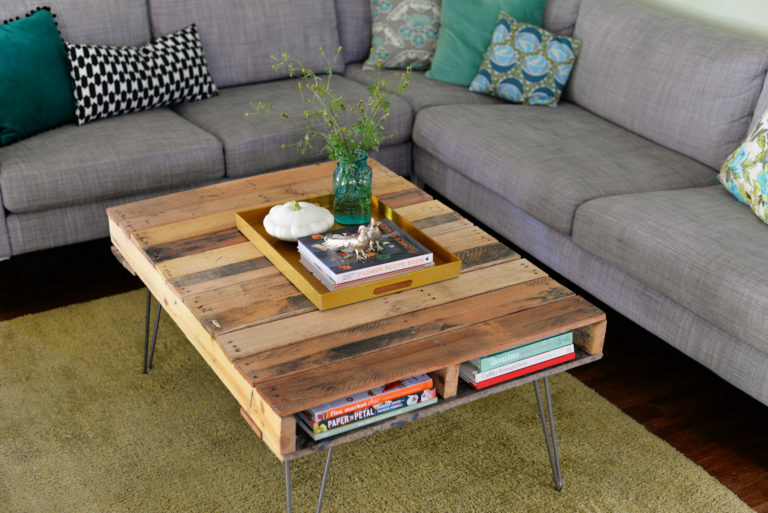 Since we’re talking about DIY wood coffee table we should also mention the option of turning a pallet into such a furniture piece. The transformation is fairly easy and there are numerous ways in which you can customize your creation. 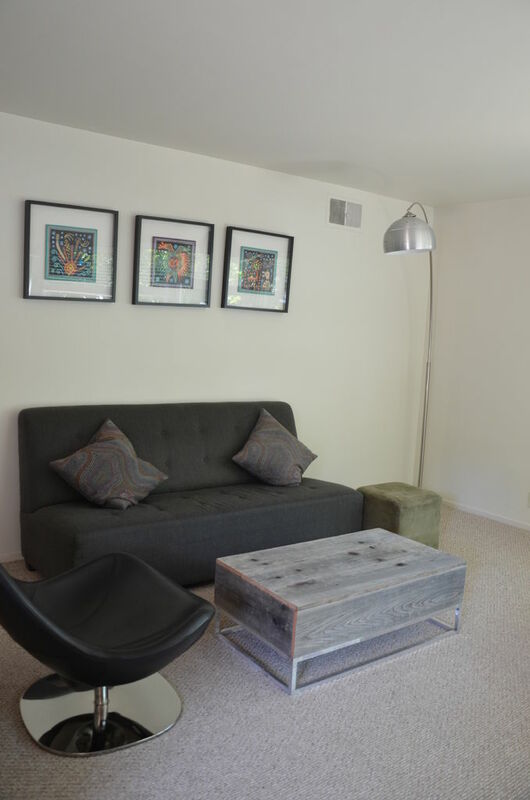 For example, you can paint the table, install casters or decorate its top. As far as the actual structural transformation is concerned, you can find all the details on papernstitchblog. 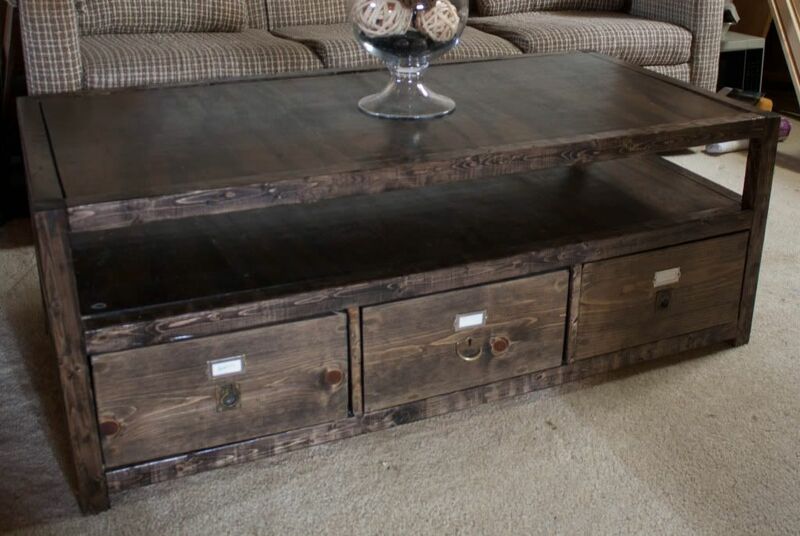 You can make a wood coffee table suit any style. For example, you could make an industrial-looking table entirely out of wood and use different types of stain to make the base look like metal. This design is in fact one of the simplest ones yet. You could easily get it done without prior DIY knowledge if you just follow the instructions on littleglassjar. 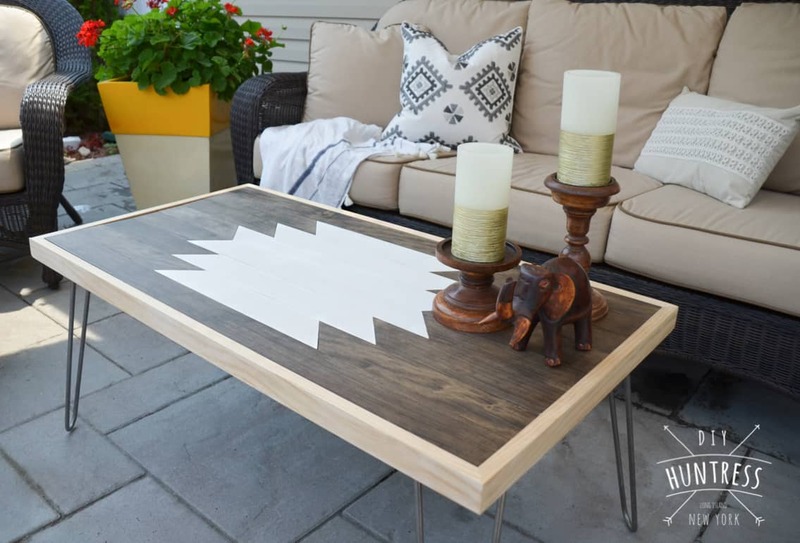 Plywood is very versatile as well and can be used to make simple and stylish coffee tables like the one featured on themerrythought. The hardest part here would have to be cutting that perfectly circular tabletop. The base is super easy to put together. If you want to you can stain or paint the table so it matches your living room decor. 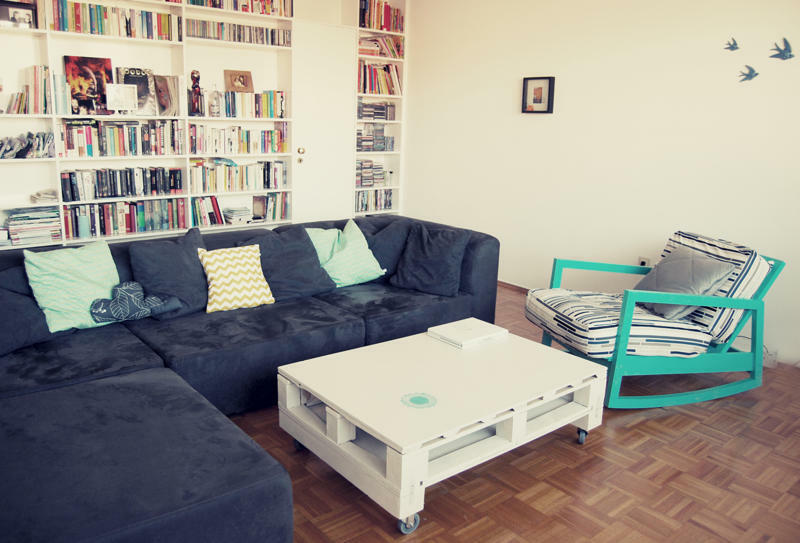 This is one of our favorite wood coffee tables. We like its simple, blocky design and the fact that you can make something just as beautiful yourself using pallet wood. It’s a fairly simple craft and the instructions can be found on diycandy. You can customize the measurements if you want to. Just make sure everything its before you start assembling the pieces. Wood coffee tables come in all shapes and styles and some of the design ideas we mentioned can be combined to create something special and matching you own style. For example, you could make a pallet table with hairpin legs. All you’d need is a pallet, four hairpin legs and some basic tools. The post 10 Wood Coffee Table Designs With DIY Flavor appeared first on Home Decorating Trends – Homedit.